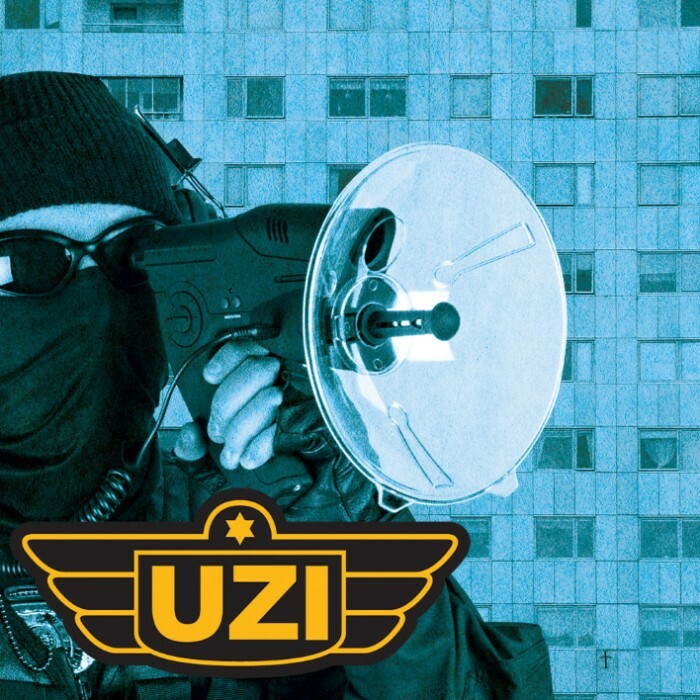 UZI Pro Spy Device | BUDK.com - Knives & Swords At The Lowest Prices! 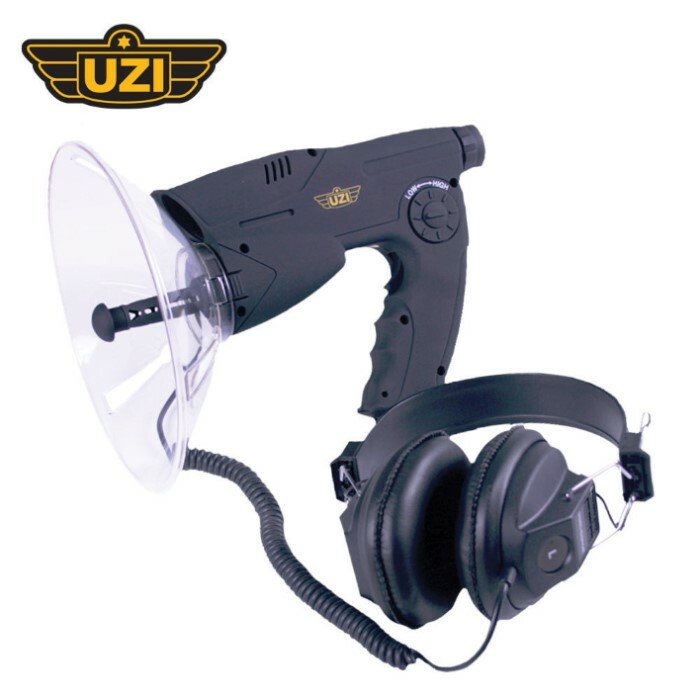 This UZI Pro Spy Device features a Monocular and listening device with headphones. This kit provides a built-in 8X monocular for observing birds & animals. Hear sounds over 300 feet away and even digitally record sounds. Playback sounds or transfer them to your tape recorder. Tried it out today an it is good for about 20 feet , this is nothing more then a kids toy . Not worth it . ijust used this product for the first time, so far it works very well. I think my neighbors are dealing, so from my first experience, i'm sure i'll be able to gather some conversation to validate my suspicions. NOT DISSAPOINTED. WORKS VERY WELL. I purchased this device about 6 months ago.I use it while doing field research on the most elusive primate in the world, the Sasquatch or bigfoot as it is known. While doing research at Salt Fork state park in Ohio this past April I recorded my first wood knock. This device picked up the knock clearly from about 1/8 of a mile ! I received this yesterday and it is amazing! It's very easy to put together, very easy to hear sounds, and very easy to observe animals or other people. I also own the Alpen 10 x 25 monocular and it is just about the same as this device's monocular. So if you plan on getting one of these, just do it. You won't regret it. Outdoors in the woods this device really shines as a means for identifying what is going on around you. I am not aware of anything of this performance for this price. Just got this product today. It lives up to everything in the description. I can not believe how well it works for the money. 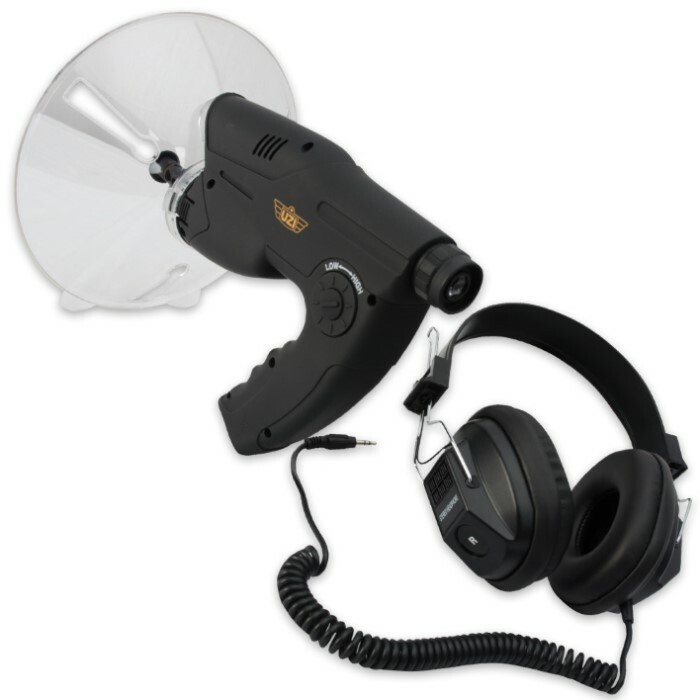 Great for hunting,sporting events,bird watching,private investigations and so on. The jury is still out on product durability and battery life ( 9 volt ) but so far so good.